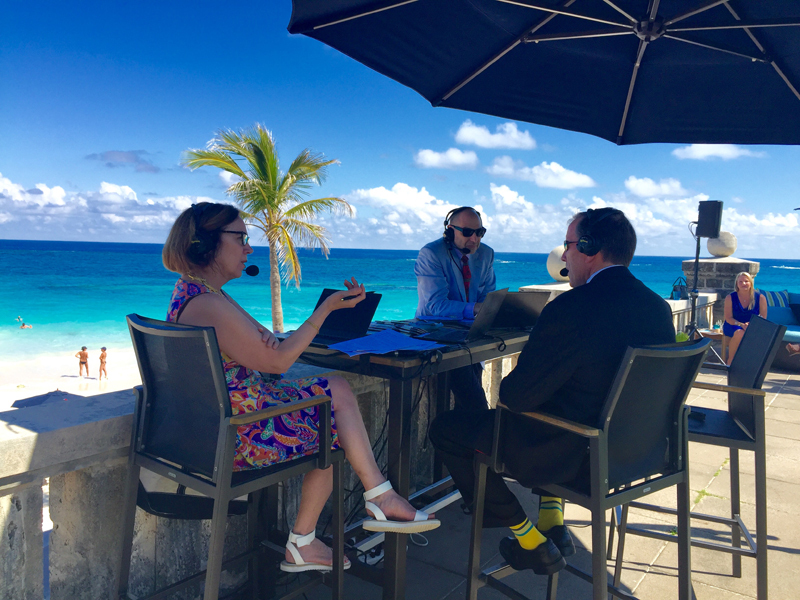 Premier Michael Dunkley recently participated in a live Bloomberg radio interview as part of an overall promotion of Bermuda, with the interview taking place outdoors at Elbow Beach last Friday. Premier Dunkley discussed the Island’s main economic pillars – international business and tourism, and also spoke on the Panama Papers, beneficial ownership, and Bermuda’s compliant and transparent business practices. He did not use de word Transparent, well I guess de Airport dont count. Writing D E instead of the T H E does not make you sound Bermudian…in fact it is an insult to Bermudians incase you didn’t know. It makes me think that you are a wanna be Bermudian. Did you used to get teased in school? Trans Parent is awesome. I love that show. Well done, Mr. Publicity….your presence really helps!!!!!!!! If he is being interviewed for Bloomberg then yes it does !!!!!!! Dunkley’s socks!……lol That aside, good job. Onion Juice doesn’t know what Bloomberg radio represents, and people should learn how to spell.